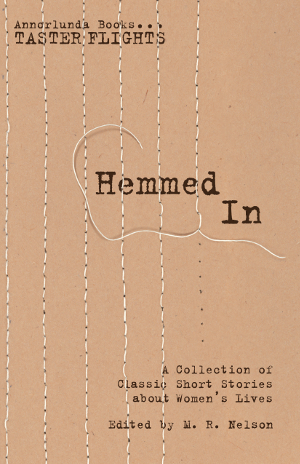 Today is release day for Hemmed In, the latest entry in the Annorlunda Books Taster Flights series. 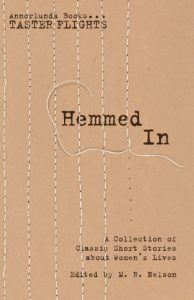 It is an anthology of six classic short stories about women’s lives. There is a theme that runs through them—subtly in some, more strongly in others—of the things men miss, and how in missing them, men can miss the real story. The paperback is $8.99 and is currently available at Amazon and CreateSpace. It will make its way to other retailers soon. You can also find it on GoodReads.